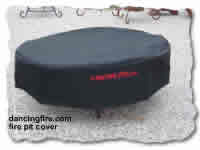 CHIMINEA, FIRE PITS AND ACCESSORIES > Firewood Racks > THE PIT STICK! The Ultimate fire pit tool. The Ultimate Fire Pit Tool! WE have had A LOT of inquiries from our customers looking for a log scissor. Something to pick up a log in a fire and to be able to lift it and move it. We have the perfect tool for the job. We call it "The Pit Stick" . 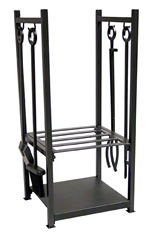 The Pit Stick is 48" long and comes in either stainless steel or regular carbon steel. The Pit Stick works as a poker and or A Log Claw. This means you can stook the fire wood and you can pick up burning logs and re-arrange them. It's the perfect fire pit tool. Shipping is $19. All Pit sticks are painted black.